The horizontal apartment – rental housing with high-end amenities built on small lots as single-family homes, with on-site property management handling maintenance on all units could be the future of multihousing rentals, according to several experts at a recent conference. 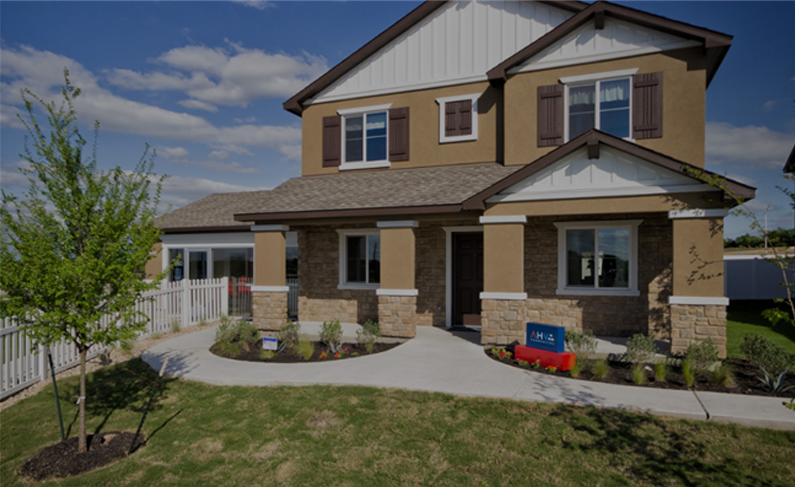 Investors and developers with backgrounds in multifamily housing are putting up developments in Texas and Arizona to offer single-family homes that combine the privacy of a home with professional property management to take care of repairs, yard maintenance and more. These developments typically have the same high-end amenities of upscale apartment communities and appeal to both Millennials and Baby Boomers who want the freedom and flexibility of renting but with more privacy than a typical apartment complex. The developments typically have 100 or more rental homes closely grouped in suburban areas near larger metros. Mark Wolf, chief executive officer of American Housing Ventures, told a group of investors at the Information Management Network conference in Phoenix during a session on the horizontal apartment panel that his company has been investing in the Central Texas area and building communities from the ground up. “We do not want any outside interference or competition. To the best that we can, we try to identify parcels that will stand on their own. We do not want to be part of a master plan or another community or have other builders around us,” Wolf said of the Texas horizontal apartment model. “Part of that is driven by the financing. Our goal is to work for cash flow and utilize the type of commensurate financing you get in the multifamily world. “We have a multifamily-centric background as a company so we very early on engineer this product to be financeable like an apartment. That is why we have on-site property management, the amenity package, and the continuity throughout the community where we can identify in a geometric manner with no breaks in our ownership of 200 houses. “We have as small as 82 houses in one development and as large as 364. The sweet spot is probably capped out around 200 or 225 houses in our new model going forward from our experience in the last couple of years. If we were looking at 250 I think it would be a home-run deal. “We are ground-up. We build all the lots ourselves. We want to have a say in how the land is engineered,” Wolf said of the horizontal apartment concept. Are you cutting the lawns? “We put in the community center, the pool, clubhouse with a functional kitchen. It’s small. It’s appropriate to the community. It’s not a 4,000-square-foot class A multifamily center. Our value-add to our tenant base is a house,” Wolf said. The horizontal apartment model in Arizona typically involves a large number of lots and rental homes clustered in a larger master-planned communities, said Matthew S. Blank, principal with BB Living and with Blank Property Group. “We team up with master plan developers. We may have 1,000 lots as part of a 5,000 lot development such as Verrado or Vistancia. We take 20 acres and create the community ourselves. We put in the full amenities you see in multifamily housing – dog parks, pools, etc. Then we leverage the amenities around us in the larger community,” Blank said. “We go into the master planned community to attract corporate relocations, tap into good school districts, golf courses, and parks,” Blank said. How long do tenants stay in these horitzontal apartment rentals? “We hope they stay four years to seven years as people keep their kids in school,” Wolf said. Blank added, “People who rent from us are most likely to buy a house in the future. Since 2012 our turnover rate is about 30 percent. Our product demands premium rent. We are not sellers of homes on a one-off basis. “Our renters want to feel like they are moving up when they buy – we are seeing a move out to buy houses,” Blank said. “We are our own homeowners association for that reason,” Wolf said, to avoid complaints from home owners about having too many renters in the horizontal apartment community. “We run into these issues,” said Blank about Arizona because his properties are part of larger planned communities. “We have had Facebook pages dedicated to us” that are not positive. “Typically when we go in we rewrite the CC&Rs (Declaration of Covenants, Conditions, and Restrictions) to remove the rental housing restrictions,” Blank said. “We want standard apartment style take-out loans,” Wolf said. “The idea is to get traditional apartment financing. “Our largest project needs about $16 million. We have private equity groups who like our strategy. The financing on the debt side is challenging. Good community banks are the best to work with,” Blank said. “We hold for cash flow and we are generally expanding, not selling,” Wolf said. He added it takes about two years to build and complete a development. Blank added, “I think you will see a trend where the institutions will be buying in the future. Our expenses are 25 percent to 28 percent and you can see the efficiencies. “When people get to rent a new house, they treat it like a new house. When they go into a classic apartment, they treat it like an apartment,” Blank said. Blank said they are building townhouses that average about 1,800 square feet and they put 10 or 11 per acre with a cost “in the mid 80s” per square foot with rents starting at $1,500 per month. Wolf said they build at about $70 a square foot with 1,500 to 1,600-square-foot homes with a two-car attached garage and rent for $1.05 a square foot for a 1,900-square-foot home and $1.25 a square foot for the smaller homes. Wolf is CEO of American Housing Ventures and manages new acquisitions, strategic partnerships, investor relations and operations. Since inception, he has overseen the acquisition of over 1,500 lots, construction of homes and secured capital commitments of over $300 million. Wolf was a founding partner of the multifamily platform at Greenlaw Partners in Newport Beach, where he was responsible for the oversight of multifamily investments. In addition, he was the founder and managing principal at Sicuro Realty Partners, a multifaceted advisor capital provider for the multifamily sector. Matthew Blank is a co-founder of Blank Property Group. Prior to forming BPG in 2011, he was a senior equity analyst at Long Pond Capital, LP, which is a long/short hedge fund focused on the real estate sector. At Long Pond, Blank specialized in the multifamily and single-family housing markets. Blank also previously worked at Morgan Stanley Real Estate, where he focused on investment banking, private equity, and the capital markets. At Morgan Stanley, Blank worked with a range of public and private clients in the real estate industry, focusing mainly on the apartment, strip center, office, and healthcare asset classes.